Today, it’s common for church folk to be scared of theology. You can’t really blame them. They have heard that theology accounts for division and disunity. Many people have not heard a pastor preach theologically (at least not consciously so), and so they feel their spider-sense tingling if the preacher gets too doctrinal. They start twitching. Uh oh—now we’re moving out of the “practical.” That’s not good! We’re verging into the theoretical, the abstract, the deep stuff. They yearn for the preacher to return to life tips, folksy stories, and inspiring appeals. Many people have a version of this reaction to theology because they have never had an opportunity to develop their homiletical palate. We do not heap scorn on them; we feel compassion for them. After all, they have been fed a diet of milk, not a diet of meat (Heb. 5:11-14). But we should not rest easy with this situation. We should seek to change it. In what follows, I want to bring a different understanding of theology to the surface. I want to highlight the Puritan conception of theology. Today, the Puritans are bad guys, but this is far from a fair characterization of them. The Puritans were zealous for God, yearned to be wise unto God, and preached the doctrines of God without reserve and without hesitation. As I cover in The Pastor as Public Theologian (co-written with Kevin Vanhoozer), and as I’ll make plain in the 2019 Founders Midwest conference, we need to recover the model of the pastor-theologian. This was the Puritans’ model; it should be ours today. The Puritans defined theology in churchly terms. For William Ames, author of the classic Puritan theology manual Medulla Theologiae, “The Marrow of Theology,” defined theology itself as “the doctrine of living to God.” Ames argued in his book that “since the highest kind of life for a human being is that which approaches most closely the living and life-giving God, the nature of theological life is living to God.” In Ames’s construal, theology is for living. It is for the people of God, and designed so that they might flourish before God. It belongs to those who would live for Him, and know his will, and treasure his goodness. This is a pre-modern, pre-critical definition of theology that has much to commend it. The bruised reed is a man that for the most part is in some misery, as those were that came to Christ for help, and by misery he is brought to see sin as the cause of it, for, whatever pretences sin makes, they come to an end when we are bruised and broken. He is sensible of sin and misery, even unto bruising; and, seeing no help in himself, is carried with restless desire to have supply from another, with some hope, which a little raises him out of himself to Christ, though he dare not claim any present interest of mercy. This spark of hope being opposed by doubtings and fears rising from corruption makes him as smoking flax; so that both these together a bruised reed and smoking flax, make up the state of a poor distressed man. This is such an one as our Saviour Christ terms ‘poor in spirit’, who sees his wants, and also sees himself indebted to divine justice. Because of this weakened condition, the believer needed the church, which Sibbes depicted as “a common hospital, wherein all are in some measure sick of some spiritual disease or other, so all have occasion to exercise the spirit of wisdom and meekness.” In Sibbes’s hands, theology is essentially Christ-shaped comfort for a weary, needy, broken people. We gain further appreciation for the rich connections made by the Puritans between theology and life in the ministry of Richard Baxter, the seventeenth-century catechist of Kidderminster. Baxter has passed into pastoral immortality for his unflagging efforts to train the 800 families in his congregation in the rudiments of biblical faith. For this reason, Baxter is often grouped as a “practical theologian.” But here again we glimpse the difficulty of this descriptor. Behind the Puritan’s prodigious program, after all, lay the settled conviction that the chief need of the church was theological instruction of such a kind that it produced a transformed heart. It is these fundamentals that must lead men to further truths; it is these they must build all upon; it is these that must actuate all their graces, and build all upon; it is these that must fortify them against temptations. He that knows not these, knows nothing; he that knows them well, doth know so much as will make him happy; and he that knows them best, is the best and most understanding Christian. Without biblical truth, Christians had nothing to “build all upon,” nothing to “fortify them against temptations.” Baxter believed there was a one-to-one relationship between knowledge and maturity. The Puritans, we see, took theological and intellectual dominion of the created order, setting themselves up as the chief interpreters of life and thought in this world. With the Lutheran and Reformed pastors of the Reformation period, they would have boggled at the suggestion that they, as pastors, were inadequate to act as theologians for their people. They might have asked, “Who else but the pastor is capable for these things?” For the Puritans, and for many thousands upon thousands of ministers in the church’s history, pastoral work was not an escape from theological work, but the call to instantiate truth in the life of the church. For the Puritans, theology cannot be anything but public: the people of God living to God by living out God’s truth. So may it be for us. This work is adapted from The Pastor as Public Theologian and is used with permission. Owen Strachan is an associate professor of Christian Theology and the Director of the Center for Public Theology at Midwestern Baptist Theological Seminary. A well-established writer, Dr. Strachan has published many books and articles. He regularly speaks for churches and conferences and will be a keynote speaker at the Founders Midwest Conference 2019 in St. Louis, MO. If you would like to attend the Founders Midwest Conference in 2019 and hear Dr. Strachan speak, be sure to visit our website to register or get more information. You can also find us on Facebook. William Ames, The Marrow of Theology (Grand Rapids: Baker, 1997), 77. Richard Sibbes, The Bruised Reed, Puritan Paperbacks (Carlisle: Banner of Truth, 1998), 3-4. Richard Baxter, The Reformed Pastor, Puritan Paperbacks (Carlisle: Banner of Truth, 1974), 177. J. I. Packer, Quest for Godliness: The Puritan Vision of the Christian Life (Wheaton, IL: Crossway Books, 1994), 102. I had a moment like that recently in thinking through the parable of Jesus recorded in Matthew 18:21-35. I had been pondering the way Satan uses our narcissistic tendency to view everything through the lens of self-serving gratification. Much goodness, marriages, families, and countless churches have been broken into oblivion over such matters. Given the fact that I was thinking about this at Thanksgiving time made the point evermore pertinent. I Forgive How Many Times? It seems to me that Jesus was touching a key aspect of fundamental Christian thinking and living. Peter had just asked Jesus how many times he would have to forgive an offending brother who had hurt him! It doesn’t take much insight to sense Peter’s struggle in this matter. Forgiveness is hard! I don’t mean saying, “I forgive you”; no, I mean really forgiving from the heart. Peter offered what in his mind was a generous option – seven times. Hey, that is plenty, right? Not really! Jesus blasted Peter’s paradigm of forgiveness and taught him (and us) in the parable of the unforgiving forgiven servant how God’s mercy births our humility and gratitude, showing our humble gratitude in treating others who offend us with mercy and kindness. Jesus taught Peter (and us) how God’s undeserved mercy dispensed in infinite and immeasurable dimensions bears the heart fruit of joy, gratitude, humility, and patient kindness with others. Let us get honest…sin makes self-centered idolaters of us all! We don’t even have to try; we naturally and simply live out a narcissistic perspective in narcissistic lives. Narcissists take in and gobble up divine mercies with a single gulp without giving a thought to how undeserving we are and how good God is! We get bloated on God’s blessings and just keep going wondering why God does not do more for us. How distasteful this is! And even worse, we treat God with disdain and entertain in our hearts blasphemous thoughts of Him in times of trouble, blaming Him for every pain and inconvenience we experience. And not only that, we betray our selfish hearts by treating others with un-forgiveness and unkindness, all this in spite of the fact that we have been forgiven and treated with mercy by God to such a degree that we could never in all of eternity pay God back for what He has done for us in Christ. All this sinful thinking makes sense in a world filled with screaming protests of perceived injustices, as though the greatest sin is for someone to violate our personal sensibilities. Give me a break! This kind of sinful thinking and living just does not make sense in light of God’s undeserved and bountiful mercies given to us in our blessed Savior, the Lord Jesus. The key to establishing affections, interpreting correctly life’s experiences, and determining appropriate behavior and responses to others is found in the heart. The problem with the unforgiving forgiven servant was that in his heart, he did not feel gratitude to the one who had given him the greatest gift of his life. Gratitude to God in the context of His redemptive work for us in Christ, granted and given by sovereign mercy and grace, becomes the very basis, motivation, and inspiration for obedience to the Lord, for worship and praise to the worthy God of heaven and earth, and for patient longsuffering with offending brothers and sisters in Christ. Let us meditate regularly on the rich and undeserved gifts God has given to us in Jesus Christ through His saving work on our behalf and in our life experience. Let us pray that our hearts will be filled with joyful gratitude for all He has done for us and given to us in the blessed Savior. And let us seek to show our thankfulness for what God has done for us in Christ in the gospel by being patient and forgiving with each other for God’s glory. John Greever is a professor of Bible at Missouri Baptist University and pastor of First Baptist Church in Fenton, MO. He is a part of the leadership team of Founders Midwest and will be a speaker the Founders Midwest Conference in 2019. 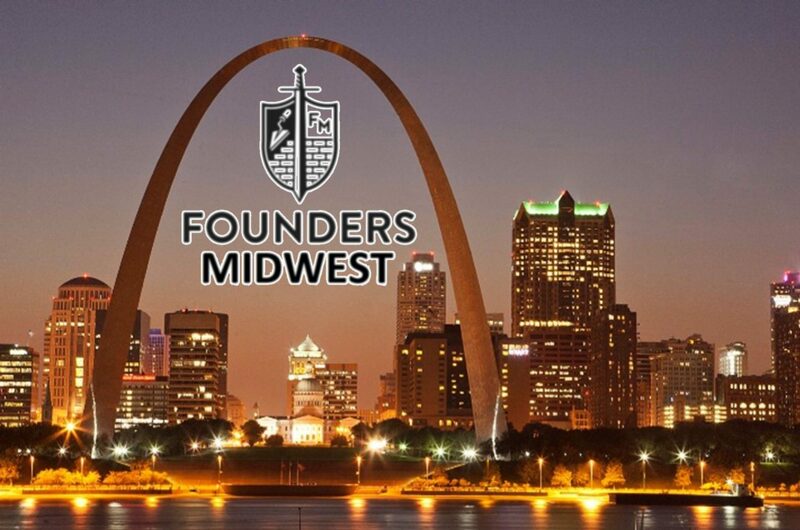 If you would like to attend the Founders Midwest Conference in 2019, be sure to check out our Facebook page or visit our website for more information. One of the most important disciplines we can practice in our Christian walk is daily Bible reading, and two very important practices that should grow out of daily Bible reading are memorization and meditation. First, let me explain what is commonly meant by Biblical meditation. In contrast with the meditation of the New Age movement or Eastern religions, Biblical meditation is centered on filling one’s mind rather than emptying it. When we meditate on Scripture, our minds are constantly turning over a verse or passage to try to understand it deeper. In fact, the word picture of meditation in the Bible is that of a cow chewing its cud. We endeavor to continue to extract more truth and goodness from the Scriptures than can be found in one read through. In addition to meditation, memorization has many added benefits. It facilitates meditation by allowing us to access the Scriptures at any time and any place. By memorizing the Scriptures, we are enabled to resist temptation as mentioned in Psalm 119:11. Also, memorization serves as comfort in times of internal conflict or external concern. Collectively, memorization and meditation allow us to walk according to the path that God has set for us and bring us to a position of spiritual prosperity in His good pleasure. In this post, I will describe some tips for memorizing and meditating on God’s Word. In your reading of the Bible, some passages may stand out to you more than others. Try to memorize verses that teach deep truths. John 3:16 is a favorite for many and is probably one of the most memorized verses in the Bible. Other noteworthy verses are Isaiah 41:10, John 1:1, John 14:6, Romans 3:23, Romans 6:23, 2 Timothy 3:16, and Hebrews 4:12. These are all verses that teach something profound about what we believe. However, be cautious about memorizing verses without understanding context. This brings me to the second tip. There are many people who can tell you what Jeremiah 29:11 says without being able to tell you what it means. Memorizing a verse without knowing its context robs the verse of its meaning and can have disastrous effects. Remember, the Devil knows Scripture and is skilled at using it for his own purposes. When he tempted Christ, he made use of a passage from the Psalms taken out of context. In fact, many false doctrines originate from verses taken out of context. Even familiar passages like John 3:16 have been misunderstood if they are not understood in context. I recently started memorizing larger sections of Scripture, and in doing so, I recognized a problem – chapter and verse divisions sometimes split thoughts in the wrong place. Many verses are not even complete sentences. If you want to memorize a larger section, try to do so without focusing on chapter and verse. I try to go by sentences and paragraphs rather than chapter and verse. Chapter and verse divisions are a relatively recent addition to the Bible. When Augustine, Luther, and Calvin quoted Scripture, they did so without using chapter and verse. Most of the Bible was intended to be read aloud. When I am memorizing a New Testament epistle, I try to imagine myself delivering the message to the church to which it would have been read. This really helps to solidify not only the words themselves but the meaning of the text. Psalms are easier if you pray them aloud as a prayer to God. As you recite a passage, your mind, vocal chords, lips, tongue, and ears become accustomed to the natural progression of the words. Try to make your inflection uniform and pause at the natural break in clauses and sentences. Using word pictures or paying attention to progression of the passage can help. For example, In Romans 2, Paul contrasts those who will stand justified on the Day of Judgment with those under God’s wrath. He does so in two sentences in which he contrasts the one with other. In the first, he speaks to the righteous and then the wicked. In the second, he speaks to the wicked and then righteous. This structure is a very effective device for committing Scripture to memory. Also, I recommend looking for words that recur or ideas that are revisited. For example, in the book of Titus, there are certain words or phrases that are repeated, like “savior,” “good works,” “sound,” and “self-controlled.” These words point to significant patterns in the book. It is very easy to omit, transpose, or insert words when memorizing. Be vigilant against this error. The best ways that I have discovered to do this is to regularly refresh your memory by revisiting the passage, looking it over, and reciting it again. While memorizing Romans 2, I neglected an entire sentence. The only way that I knew that I was in error was by revisiting the passage. I make a point to repeat passages that I’m memorizing on a regular basis. Put the words in front of you and recite aloud. There is no better substitute. Our doctrine and theology should always be directed by Scripture not the other way around. As you meditate on Scripture, think about what it is teaching. Understand what the words mean in context. Think about what each sentence is saying. I take time to think about different areas of doctrine that are influenced by the passage. For example, does the passage teach us anything about who God is? Does the passage teach us anything about what God has done? Is some truth of redemption revealed? Does it teach us about how our lives should be lived or how the church should be led? This should open your mind to a deeper understanding of doctrine. Keeping a journal of your thoughts is particularly fruitful when paired with meditation. As insights arise from thinking about the teaching of a given passage, it is good to write them down. I have known many people who write their thoughts in a notebook or other physical journal. Others prefer an electronic journal. I personally have a Microsoft Word document that I update with thoughts from meditation. I like to summarize what each paragraph of Scripture has to say and make an outline of a given book. Cross references with other books or passages are also really helpful. Then, whenever I want to return to my thoughts, I can take a look at what I had previously written. Sometimes I recognize that my previous understanding of Scripture was flawed. At other times my views are solidified. I hope that this post has illustrated the next step in Bible intake from simply reading a passage or passages. As we get into the Word, it is important for us to get the Word into us. John Wright is a professor of Math and Biology at Mineral Area College and is an elder candidate at First Baptist Church in Park Hills, MO. He is also a guest blogger for the Founders Midwest website. If you would like to attend the Southern Baptist Founders Conference Midwest, be sure to check out our Facebook page or visit our website for more information. I’m currently preaching through the book of Acts at the church I pastor – First Baptist St. John. My congregation has graciously sat through my Martyn Lloyd-Jones approach to Acts – slow and intentional exegesis. After 15 months of walking through Acts, we have come to the death of the first Christian martyr recorded in Acts 7:60 – Stephen. There are many fascinating details to Stephen’s killing (ex. his courage in preaching to his killers, his similarities to Christ in death, his certainty of assurance in death, etc. ), but perhaps the most interesting is that Stephen is not unique. While he certainly is unique in his death being recorded in the revealed Word of God, he’s not unique in being killed for the faith and his powerful final words. As Protestants everywhere celebrated the 500th anniversary of the Reformation last October 2017, I am reminded of the many dear men and women of the faith who were martyred for their faith during the Reformation. As I’ve considered Stephen’s death, I’m gripped by the similarities between his and many of the Reformer’s final words as they came to the end. Other lesser known martyrs of the Reformation documented in Foxe’s book of Martyrs include Laurence Ghest who was burned at Salisbury in 1508 and whose ‘Mind attempted to be swayed by fatherly affection for wife and seven children’ (Foxe, Vol 4, page 126-7). Or Matthieu Dimonet who was burned at Lyons and suffered “Great problems with the temptations of his parents, brethren and kinfolks, and the sorrow of his mother, nevertheless he endured to the end.” (Foxe, V 4, page 414). These and many other martyrs of the Reformation remained determined in the certainty of death to look to the One who had saved and sustained them. And as we remember these dear Christian brothers and sisters, we remember that many others throughout history have given their lives for the truth. Hebrews 11:35-38 is a firm reminder that for centuries Christians, nameless and forgotten by the world, have given their lives for a greater cause than themselves. While it is good to remember these dear Christians of the faith for their obedience even to death, we must be careful not to venerate these humans. As fallen humanity, we have tendencies to always make idols of especially good things like Christians who have given their lives for the faith. Instead of venerating these saints of old and trying to emulate their sacrifice, Christians should follow their examples of looking solely to Christ at the end of life. I’m struck at the emphasis of many Christians at the point of death. Their focus is always on Christ, His resurrection, and His faithfulness in the midst of persecution and death. After experiencing a vision of the Son of Man awaiting his presence, Stephen’s final words are recorded in Acts 7:59-60, “Lord Jesus, receive my spirit!” and “Lord, do not hold this sin against them!” In Moses’ final address to Israel before his death, he declares in Deuteronomy 33:26, “There is none like the God of Jeshurun (Israel).” King David’s final recorded words were, “The anointed of the God of Jacob.” (2 Sam. 23:1) Even Paul’s final letter, likely written near the end of his life, concludes with the words, “The Lord be with your spirit. Grace be with you.” (2 Tim. 4:22). The biblical trend is obvious – God’s people at the end of life are focused on God and His faithfulness, rather than on themselves or other earthly sentiments. The application for believers is equally obvious – follow the example set by both our biblical and Reformation forefathers and focus on Christ until the end. Run the race with endurance that is set before us (Heb. 12:1) until the very end. And when the final days on earth come for each of us, may we be found looking solely to Christ, the author and perfecter of our faith. Jeremiah Greever is a professor of Bible at Missouri Baptist University and pastor of First Baptist Church St. John in St. Louis, MO. He is a part of the leadership team of Founders Midwest and is an occasional speaker at the annual Southern Baptist Founders Conference Midwest. If you would like to attend the Southern Baptist Founders Conference Midwest, be sure to check out our Facebook page or visit our website for more information. We live in a time in which the church in this culture is in great need of reformation. In some churches, this need is seen in the spiritual malaise that settles upon congregations where members are content just to “play church” and disregard the scriptural command to exercise their spiritual gifts for the edification of the body and the advancement of the Gospel. In other churches, this need for reformation is seen in the wholesale abandonment of the local church by younger generations who walk away from “organized religion” for their own idolatrous brand of “spirituality.” Now more than ever the church in this culture needs reformation. But can a pastor, who is committed to reformation, come into to such churches and bring about reformation? A brief look at two reformations in the history of the Israel, one before the exile and one after, suggests that he cannot, but that is no reason for despair. Just prior to the exile, Israelite religion was nonexistent. The scriptures tell us that during the reign of Manasseh, the Israelites, led by their own king, did “more evil than the nations had done whom the LORD destroyed before the people of Israel” (2 Kings 21:9 – ESV). However, after the wicked reigns of Manasseh and his son Amon, the godly King Josiah rose up and brought reformation to the land of Judah. It was during Josiah’s reign that the lost and forgotten Law of the Lord was found again and read to him (2 Kings 22). In his hearing of the Law, King Josiah mourned and wept before the Lord and cried out to Him in prayer on behalf of himself and the people, and the Lord showed him mercy (2 Kings 22:19-20). Josiah then established the rule of the Law of the Lord and brought reformation to the land by putting an end to all the idolatrous worship practices of the people and by restoring Israelite religion to its proper place among them (2 Kings 23). This reformation, however, like Josiah’s life, was short lived. After Josiah’s death, the people of Judah quickly rejected the Law of the Lord and returned to their idolatrous practices during the short reigns of Josiah’s own sons Jehoahaz (2 Kings 23:31-32), Jehoiakim (2 Kings 23:36-37), and Zedekiah (2 Kings 24:18-19). These sons of Josiah, as well as one grandson whose reign was brief, ruled Judah until God destroyed the nation by the hand of the Babylonians who then carried the people away into exile (2 Kings 25). Not even twenty years had passed, barely a generation, from the time of Josiah’s death to the time of the exile. So why did Josiah’s reformation fail and why did it fail so quickly? The prophetic books, like those of Ezekiel and Jeremiah, suggest that this reformation failed because it was merely external; it only changed the outward practices of Israelite religion and not the hearts of the people. This is why after Josiah’s premature death, the people so quickly and easily returned to their old, idolatrous practices. But why weren’t the hearts of the people also changed by Josiah’s reformation? The scriptures tell us that the hearts of the people weren’t changed because God had already determined that their hearts would remain dull until His judgment upon them was completed (Isaiah 6:9-13). Furthermore, it was because of the wicked reign of Manasseh that God declared that His plan for judgment upon His people would not be thwarted and that there would be no opportunity for pardon (2 Kings 23:24-27; 2 Kings 24:1-4). Josiah’s reformation failed because God, in His judgment, did not grant reformation to the hearts of His people. Just after the exile, Israelite religion was in better shape than it was prior to the exile. However, the Israelites and their leaders still walked in disobedience to God. Their leaders exploited the people by overtaxing them to the point of debt enslavement (Ezra 5), and both the people and their leaders married foreign wives (Ezra 9:2). (The context of Ezra 7-10 suggests that these marriages to foreign wives were a violation of the Law of Moses, probably Deuteronomy 7:3-4, which would then imply that these marriages were to foreign wives who worshipped other gods and who bore children that also worshipped other gods.) However, men like Ezra and Nehemiah rose up and brought reformation back to the land of Israel. Under their leadership and prayers of repentance before the Lord (Ezra 9 and Nehemiah 1), the rule of Law of the Lord was once again established, and the sinful practices of the people were curtailed. A great revival also took place among the people where they hungered to hear the Word of God, they confessed their sins with mourning and weeping, they praised the faithfulness of their covenant God, and they made oaths to walk in obedience His Law (Nehemiah 8-10). This reformation, unlike that of King Josiah, clearly was both external and internal. The hearts of these people were indeed turned back to the Lord. But why did the reformation of Ezra and Nehemiah succeed in changing the hearts of the people, but Josiah’s failed? Could it be that God’s judgement of destruction and exile had taught these exiles a lesson, and thus, their hearts were ready for reformation? Hardly! Before the exile and even before Josiah had reigned as King of Judah, the Northern Kingdom of Israel had also experience God’s judgement of destruction and exile by the hand of the Assyrians. Shortly after that judgment, King Hezekiah, King Manasseh’s father, had instituted his own reformation in the land of Judah. The king even sent messengers to the remnants of the northern Israelite tribes to encourage them to return to the Lord. However, rather than return, most of them scorned and mocked the messengers (2 Chronicles 30:10). Their own destruction and exile had clearly not prepared their hearts for reformation. The reason the reformation of Ezra and Nehemiah brought reform to the hearts of the people was because God changed their hearts, and He had determined to do so long beforehand. Around a thousand years before this post-exilic reformation, God had declared in the book of Deuteronomy (chapters 29-30) that after His people had been exiled, He would bring them back to their land and change their hearts. Deuteronomy 30:5-6 (ESV) states, “And the LORD your God will bring you into the land your fathers possessed, that you may possess it. And he will make you more prosperous and numerous than your fathers. And the LORD your God will circumcise your heart and the heart of your offspring, so that you will love the LORD your God with all your heart and with all your soul, that you may live.” God also declared through the prophet Ezekiel (chapter 36), who was himself a Babylonian exile, that He would bring his people back to the land and change their hearts. Ezekiel 36:24-27 (ESV) states, “I will take you from the nations and gather you from all the countries and bring you into your own land. I will sprinkle clean water on you, and you shall be clean from all your uncleannesses, and from all your idols I will cleanse you. And I will give you a new heart, and a new spirit I will put within you. And I will remove the heart of stone from your flesh and give you a heart of flesh. And I will put my Spirit within you, and cause you to walk in my statutes and be careful to obey my rules.” Thus, the reformation of Ezra and Nehemiah succeeded because God, in His mercy, granted reformation in the hearts of His people. Now let’s come back to our main question, “Can a Pastor reform a church?” Again, the scriptures make it clear that he cannot because the reformation of a church is ultimately the reformation of the people, the reformation of their hearts. A reformation minded pastor does not have the ability to reform the hearts of God’s people. This should be a humbling truth to him. However, this is no reason for him to despair because the scriptures also make it clear that the reformation minded pastor serves the Living God who can and does reform the hearts of His people. Thus, the reformation of a church is God’s work, not the pastor’s. So what a pastor can and should then do is establish the rule of God’s Word among God’s people through preaching, and through prayer, he should cry out to God to grant reformation to His church. Now given the state of many churches today, God’s intent may be to bring judgment upon a church rather than reformation. However, the reformation minded pastor can take comfort in the knowledge that his prayers to the Lord will be heard (1 John 5:14-15) and he will be rewarded for his faithfulness (1 Peter 5:4) whether God sends judgment or grants reformation to his church. And ultimately, the pastor should take comfort in the knowledge that God will indeed fully and completely cleanse and restore His church, His bride, to Himself in the Age to Come (Revelation 19:6-9). Josh Wilson is a professor of Bible at Missouri Baptist University and pastor of First Baptist Church in Park Hills, MO. He is a part of the leadership team of Founders Midwest and is an occasional speaker at the annual Southern Baptist Founders Conference Midwest. If you would like to attend the Southern Baptist Founders Conference Midwest, be sure to check out our Facebook page or visit our website for more information. The job of the pastor is the job of shepherding Christ’s sheep. Christ entrusts His sheep to the care of the pastor that he might represent Christ in the shepherdly role. This is a glorious, yet painful task. The pastor’s call is a wonderful call, but it will drain and hurt him many times. It is difficult to exhaustively explain all the tasks and responsibilities of the pastor. The calling and job of the pastor certainly include preaching, teaching, counseling, leading, organizing, overseeing, praying, and a hundred other tasks that need to be done. But what is the main job of the pastor, according to the Bible? At the core of evangelism, discipleship training, and developing leaders for the church, we must understand that the pastor’s main job is to lay down his life for Christ’s sheep. He must shepherd the flock of God, and do it with love, cheerfulness, humility, patience, and courage. O Lord, who is capable of such things? This is a glorious calling and a painful job. Being a pastor means taking care of Christ’s sheep. One of the most basic perceptions that a pastor needs is to realize that he is not at the center of his ministry, Christ is. Pastors must accept the fact that our ministries are not about us! Our ministry is an extension of Christ‘s ministry. He is the GOOD SHEPHERD, and we are His under-shepherds. Those who are saved do not belong to pastors who pastor them; they belong to Christ. Christ died for them; Christ shed His blood for them. They are His! We shepherd these precious saints in the name of Jesus Christ. This will free the pastor to be humble, patient, and sacrificial. We must not look at people as if they are there to advance our careers; they belong to Christ. We must seek to bring them along in their holy faith in Jesus Christ, in keeping with God’s will. Being a pastor means laying down your life for Christ’s sheep. The hardest job in the world (that I know of) is parenting children, but shepherding Christians as a pastor is very close to parenting. Paul uses this language in the passage 1 Thessalonians 2:7-8, “We proved to be gentle among you, as a nursing mother tenderly cares for her own children. Having so fond an affection for you, we were well-pleased to impart to you not only the gospel of God but also our own lives, because you had become very dear to us.” This is the pastor’s heart; it feels affection for Christ’s people, for Christ, and for Christ’s calling to the pastor. The pastor willingly lays down his life for Christ by shepherding Christ’s sheep. He shares the feeling Paul had when he wrote, “For your sake we are being put to death all day long; we were considered as sheep to be slaughtered…We are afflicted in every way, but not crushed; perplexed, but not despairing; persecuted, but not forsaken; struck down, but not destroyed; always carrying about in the body the dying of Jesus, so that the life of Jesus also may be manifested in our body (Romans 8:36; 2 Corinthians 4:8-10).” The pastor understands that this will humble us and require of us holy love and affection. Being a pastor means overseeing and protecting Christ’s sheep. Being a pastor means protecting Christ’s sheep from all adversaries against them. This usually falls into two major categories: (1) We teach and maintain true biblical doctrine among Christ’s people, and (2) We protect Christ’s people from those people who would do them harm. This takes courageous love and loving courage, but it must be done. And the pastor must do it. Being a pastor means accepting the responsibility of being an example to Christ’s sheep. The New Testament teaches that Christ’s under-shepherds must mirror and reflect Christ to the people. Pastors must not tear down with their lives what they seek to build up in their sermons. Pastors who are honest about their own sin, and humbly acknowledge their own need for grace in growth, will fall on their knees in supplication before God because of this. Being an example to the people will drive us to prayer, personal confession, and passionate pursuit of godliness in the power of the Spirit informed by the teachings of the Scripture. Pastors never feel that we “measure up” in this regard, but we must live lives of humility and sincere hunger for God and godliness. God will use the humble pastor who will do this. Being a pastor means that we have a vision of Christ’s promise and compensation. Considering these texts of Scripture regarding the pastor’s task, we feel the weight and burden that they give. But, we must also see the sweet and glorious promise of Christ given to the pastor who will faithfully execute his task in the ministry. The successful pastor may never seem important to others or be recognized in the eyes of the world, but Christ will acknowledge and claim every faithful pastor for the work that he does for gospel and the kingdom. There is an “unfading crown of glory” reserved for every bruised and battered pastor who has sought to give his life for Christ and His people. Heaven will bear witness to the great harvest that God will bring in and through the faithful pastor who seeks to obey and follow Christ in His ministry. I use the word “compensation” not to suggest that God owes us anything because of a faithful ministry. But, instead, I believe that the promises of God fulfilled to us and in us in heaven will compensate us for all the turmoil, rejection, and pain that we endure for His sake in ministry. Paul uses compensatory language in the context of comparing this life’s trouble to eternity’s glory (Romans 8:18; 2 Corinthians 4:17-18). Christ’s glory given to us by divine grace in heaven will more than make up for all the toil and trouble that was ours in ministry on earth. Pastor friend, this world cannot honor you in such a way as to compensate you for your struggles and difficulties in the ministry. But Christ WILL compensate you in glory forever, and that compensation will be enough. When you and I get to heaven, dear pastor, and we see the sparkling glory that Christ will share with us, and when the Chief Shepherd places on us His reward that is beyond price, then we will say without fail, IT WAS WORTH IT ALL. Pastor, be faithful as Christ’s under-shepherd. May God bless you as you do! Again, we have seen some rather “explosive” discussions on social media pertaining to the most recent Paige Patterson controversy. And while I have no intention of jumping into the deep waters of the matter, I do believe it’s appropriate to say that any form of abusive action is wrong and forbidden by Scripture. And not to push the argument of abuse to the side as if it is less important, but this is simply another layer added onto the pile of tension in the SBC. The little battles we have, time and time again, will eventually come to a climax, and if we desire to gain any standing in the world, we must understand what we are battling for. I truly believe our Southern Baptist Convention is coming to an excruciating and defining moment in Dallas, TX on June 12th. I have been reading enough articles and Twitter posts to know that the gathering in Dallas will not be without it’s fair share of “fireworks.” In many ways, little seismic shifts throughout the last decade have led to this moment, and let’s be clear: In our Southern Baptist Convention, this is a moment. The Conservative Resurgence was a major undertaking in our denomination, and we may never see another event like it – a mass-scale turn towards biblical truth – in our lifetime. So many people gave much of their lives for this cause, and we are all indebted to their faithfulness. However, because the times continually change around us, we cannot stand still and simply bask in our victories. We must consistently move forward as a denomination for the sake of the gospel in this world. Also, just as 1979 was a moment for Southern Baptists in the Conservative Resurgence, we are facing a similar moment today. And this moment is a little different, but not so different at all. The moment we face today is not the ultimate fight for biblical inerrancy or the Gospel. The moment we face today is not a fight in the face of liberalism. No, our moment is different. And praise God, because of the work done in the CR, our Southern Baptist entities are all solid, and they all have biblically sound, solid leadership. So, what is this crucial moment we are facing in the SBC? Ultimately, I believe we are now coming into a new era – an era where SBC churches are focusing more on the supremacy of Christ, the power of the Gospel, unwavering obedience to the Word of God, and the vital role of the local church in the life of the believer. Also, we are coming into a time that truly recognizes the power and authority of the local church – authority given by Christ Himself. Much of our focus now is due to the resurgence in Baptist ecclesiology. Now, it would be wrong to say that the SBC has never recognized these key elements of the Christian life, but in the eyes of many, somewhere along the line the Southern Baptist Convention became institutionalized in such a way that was less than biblical – in a way that, at least, appeared to be more like a hierarchy rather than a volunteer cooperation of like-minded local churches. In short, instead of having a denomination existing to serve its churches, the churches existed by serving the denomination. However, because of the renewed interest in Baptist ecclesiology, many pastors now decry the unbiblical mantras of tradition and the seemingly immovable boulders of the status quo. Churches are moving in the direction of the Bible. Pastors must follow Christ – adhering to biblical evidence rather than simple loyalty to a denomination, and there is no doubt that this “new era” tension is felt in our local churches, our local associations, our state conventions, and the SBC at large. Understand: we are entering a moment that is bringing forth change, and change is hard… even if the change is right. We are entering a similar moment once more. The SBC, not comprised of simply entity heads and trustees, is made up of thousands of churches to work for the spread of the Gospel. The Southern Baptist Convention, as an institution, only exists because the churches continue to cooperate together for the sake of missions. Without the churches, the SBC doesn’t exist, and we are seeing a resurgence of pastors and churches who better understand their role in this cooperation. No longer do pastors want to say and hear, “That’s the Southern Baptist Way.” The pastors of the last decade view the SBC in a different light than that of their forefathers. The pastors today want to be known as Christian, first and foremost. They want to be known for the Gospel, first and foremost. They desire to walk more like Christ, first and foremost. To the pastors of this new era, the Southern Baptist Convention is not their identity – it is simply a cooperative network. None of this is to say that the pastors of today are not thankful for the Southern Baptist Convention, for we have much to be thankful for, but the label of “Southern Baptist” doesn’t carry the same weight as it once did. There was an era when the title of “SBC” was an identifier and an important badge to wear, but today…to be Southern Baptist isn’t enough. We must be followers of Christ as it is defined in Scripture. This, I believe, is the moment we have ultimately come to. And wonderfully, many young, well-taught pastors from our six faithfully orthodox SBC seminaries are not simply walking away from the rigidly, institutional Convention, but they are flooding into the denomination with open-minds and conviction and zeal. Instead of throwing away the movements of the past, these men are raising their ballots to make a change. And most importantly, these faithful young pastors are ready to carry the torch of the Southern Baptist Convention for the next few decades. Why? Well, we’ve had good teachers such as Patterson and Pressler, who taught us to stand up for what we believe in. The one thing I do know, historically speaking, is that when Southern Baptists stand on their convictions, they rarely back down. Let’s just make sure our convictions match well with Christ’s. Cheston Pickard is pastor of First Baptist Church of DeLassus in Farmington, MO and is a contributor to the Founders Midwest blog. If you would like more information about Founders Midwest or if you are interested in attending the annual Founders Midwest Conference, be sure to check out our Facebook page or visit our website for more information. John Calvin states in the introduction to the reader of his 1559 edition of his Institutes that it was his “purpose in this labor to prepare and instruct candidates in sacred theology for the reading of the divine Word, in order that they may be able both to have easy access to it and to advance in it without stumbling.” Though we may view this more than 1,500 page work as extremely weighty by today’s standards, it was meant to be more of a primer for any pastor or lay leader to use in order that they may better understand the Bible. Recall the first article regarding Calvin and evangelism and missions. It demonstrated that Calvin understood the importance of making disciples. When he moved to Geneva, he found that pastors in town were not fit to be pastors due to their lack of training and lack of discipleship. Therefore, he realized that if the Reformation was to continue, he must train up the local pastors in such a manner that the men and women who attended the various local churches would be listening to sound, biblical preaching. Keep in mind this was at an extraordinarily tumultuous time in the history of the Reformation. To further this education of the local pastor and the corresponding church members, Calvin wrote, and used, a catechism. In the introduction of the catechism, Calvin states that he wrote it at the urging of his fellow pastors in order that they may be equipped to teach and preach the Scriptures. Furthermore, it was his hope that a common catechism, rooted in Scripture would bring about a noticeable unity in the various congregations. Understanding the importance of discipling the pastors, Calvin also wrote his commentaries for their sake. They were meant to be read in conjunction with his Institutes which was introductory. Accordingly, when the reader would come across a passage of Scripture referenced in the Institutes, it was assumed that they would look to the corresponding commentary for a more in depth understanding of what Calvin meant in the Institutes. It is through the commentaries, however, that one is shown how to not only dig into the Word, but also apply it to everyday living. In his dedication to Simon Grynaeus, he states that his purpose was “to lay open the mind of the writer” and he trembled at the thought that he was attempting to do so with the Apostle Paul and this particular book of the Bible. He strove for brevity, but at some 22-volumes, one might say, he failed. He did, however, set forth a great example of studying and preaching verse by verse through these commentaries in order that the pastors who were studying under, or influenced by, John Calvin, learned the importance of faithful, exegetical preaching. Further, his example of preaching verse by verse week in and week out, in order that he might teach and instruct the congregation faithfully, has perhaps been his most influential pastoral gift to the church still today. His example of faithful verse by verse preaching was such that upon his return to Geneva from exile, he literally picked up where he left off the last time he had preached. He was in the Book of Psalms and said something to the effect of, “the last time we were together we discussed . . . . Today, I would like to pick up in the next verse.” The importance of this style of preaching cannot be overemphasized as it enables the pastor to deal with texts he might not otherwise get around to preaching. Furthermore, this style of preaching protects both the congregation and the preacher. The preacher is protected by being “forced” to preach what is next in the text. He therefore is unable to preach his “hobby horse” or preach to the pew in such a manner that is dishonoring to God. The congregation is protected in that they do not have to listen to a pastor preach on his favorite topics or what he thinks the congregation needs to hear next. Instead, the pastor is bound by the text and his next sermon is already set for him as he must of necessity preach what is next. This enables the pastor to preach on a wide variety of subjects that collectively minister to the congregation in a far greater manner than one could ever imagine. One final aspect of pastoral ministry that might go unnoticed in a study of Calvin and pastoral ministry is his longevity. He spent some 25 years in service to a local congregation in Geneva, and while he preached all over France, his concerted efforts were to his own congregation in Geneva. Three of those years were interrupted by his exile from Geneva where he preached in Strasbourg. Regardless, for genuine Reformation to have taken hold in Geneva, it was important that Calvin minister there for as long, and as continuous, as possible. This was, by God’s grace, what Calvin was able to accomplish. Calvin’s style of expository preaching is arguably the greatest need today regarding church revitalization. Calvin, due to the Reformation, had to bring the local church back to a fundamental understanding of biblical preaching that sought to explain the Word of God rather than man’s understanding of God. Though pastors do offer their own thoughts on Scripture, Calvin set forth a method that not only equips the pastor, but instructs the congregation in the will of the Lord as revealed in the Word of the Lord. Though Calvin was vital to the Reformation and his preaching was essential to the continuation of the Reformation, his example of preaching and longevity in pastoral ministry as well as his willingness to disciple others serves as a template for church revitalization today. Preach the Word of God faithfully and over the long haul, the church will either grow closer to the Lord or reject Him altogether. There will always be a mix of wheat and tares, but through faithful, biblical preaching, the pastor will leave room for the winnowing fork of the Holy Spirit to separate as He sees fit. While Calvin is most noted for his role in the Reformation, we have seen in these articles that his concern was primarily for the local church. This concern is clearly seen in his zeal for missions and evangelism, his love of the corporate worship of God, and his passion for pastoral ministry. These three pillars of revitalization today, evangelism and missions, worship, and preaching were just as important to the Reformation of the church in the 16th century as it is to the revitalization of the church in the 21st century. Instead of seeking to re-write the book on church revitalization, we should look back to the principles that were espoused by John Calvin and blessed by the Holy Spirit some 500 years ago. Terry Delaney is pastor of Union Baptist Church in Mexico, Missouri and is a contributor to the Founders Midwest blog. If you would like more information about Founders Midwest or if you are interested in attending the annual Founders Midwest Conference, be sure to check out our Facebook page or visit our website for more information. http://www.reformed.org/documents/calvin/geneva_catachism/geneva_catachism.html. Accessed 16 May 2016. Calvin, J., & Owen, J. (2010). Commentary on the Epistle of Paul the Apostle to the Romans (p. xxiv). Bellingham, WA: Logos Bible Software.